It’s easy to intuitively understand why being a certified B Corp– a business that has demonstrated its ability to be a force for good – is a ‘good’ thing to be. What is perhaps less obvious is that B Corp-like values are much more than a ‘nice to have’. They are essential to the future of the world and its people. B Lab recently co-hosted a seminar with Small Giants called ‘Business in the doughnut economy’ featuring Oxford-based ‘renegade economist’ Kate Raworth. Raworth is the author of Doughnut Economics: seven ways to think like a 21st-century economist. Raworth argues that the economics still taught in most universities today – economics that emphasises endless growth as a fundamental measure of a nation’s success – is incredibly out of date. More importantly, this form of economics is incapable of sustainably meeting the needs of humanity and the planet. Raworth has developed the ‘doughnut’ model of economics which is a very different way of looking at our place in the world. There isn’t space here to describe the model as thoroughly as Raworth does herself, however, in summary, it is all about balance. Balance between the need to provide for the basic needs and human rights of every person on earth while, at the same time, not threatening planet Earth’s life support systems. In short, meeting the needs of all people on the planet within the needs of the planet. It probably won’t come as a surprise to hear that, at present, many of these indicators are heading in the wrong direction. Many millions of people live ‘inside’ the doughnut, without sufficient access to food and/or water, a living wage, a political voice and so on. At the same time, dangerous breaches of the environment’s limits have already occurred in areas such climate change, biodiversity loss and land conversion. We are falling short of meeting the needs of many while at the same time causing irreparable damage to our home. Raworth argues that this situation has been caused in large part by a mindset of businesses and governments that continues to ask ‘How much financial value can we extract?’ from the resources they had access to. 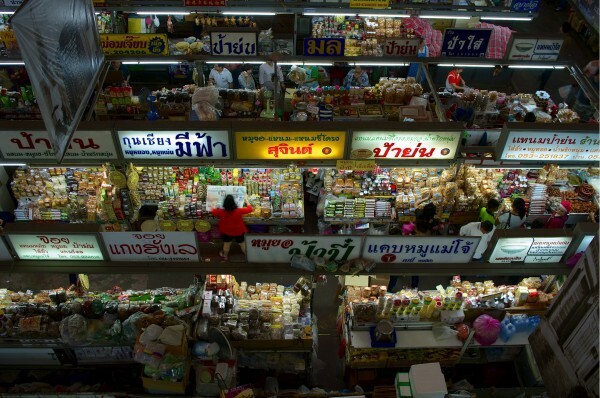 The alternative, Raworth argues, is for businesses to ‘do the doughnut’ and operate generatively. A generative mindset means deliberately striving to be beneficial. It means making an active contribution to lifting people out of the centre of the doughnut while contributing to the health of the planet. Raworth points out that being generative extends beyond an organisation’s purpose and what it actually does. It means looking at governance, at the networks it belongs to, at ownership and financing. It means ensuring that the organisation benefits all its stakeholders, not just its shareholders. It means that ‘corporate social responsibility’ (CSR) is inherent to a business, not something ‘on the side’. All of that sounds a lot like the B Corp goal of business as a force for good, not to mention the Global Leadership Foundation guiding principles of self-realisation, collaboration and stewardship. Kate Raworth acknowledges that we have a long way to go to turn the ship of economics around, but believes her doughnut model can provide a north star to navigate towards. She further hopes that her model can make economics more accessible to the wider population, including school children – an essential component of future success. 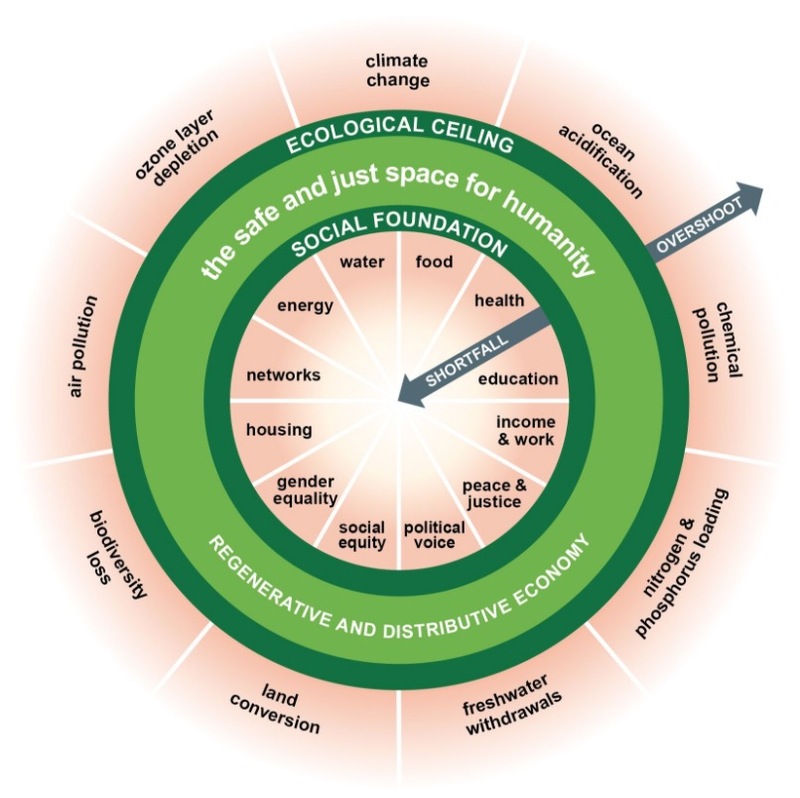 To learn more about doughnut economics, visit www.kateraworth.com. Raworth’s website includes a number of excellent short, explanatory animations. David Brewster is a writer and editor who has been working with Global Leadership Foundation since 2011.